A graduate of Berghs School of Design 1985–86, Yale Summer Program in Graphic Design (Switzerland) 1995. Senior lecturer in Visual Communication at Beckmans College of Design 2007–13 and at the Walker Art Center (USA) 2014. 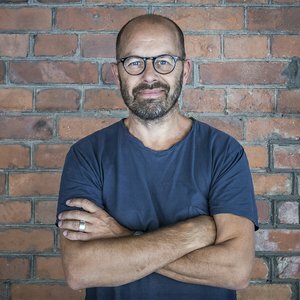 Active in Stockholm design and advertising agencies from 1983–1991, after he founded Henrik Nygren Design and exhibiting work in Tokyo 1999 and Stockholm 2003. Recipient of the 2007 Platinum Egg and Berling Award and elected member in Alliance Graphique Internationale 2014. Highly awarded throughout his working years as well being an experienced judge at numerous awards shows. The lion’s share of his work from 1991–2013 and his views on design where encapsulated in the book ”Graphic Design: Henrik Nygren” that was published by Orosdi-Back 2014.